Contamination-free pipetting of plasma with a direct displacement pipette (Microman® E). 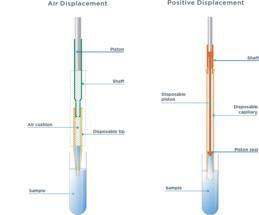 Two pipetting concepts: Air displacement cushion pipette (left) and positive displacement pipette (right). 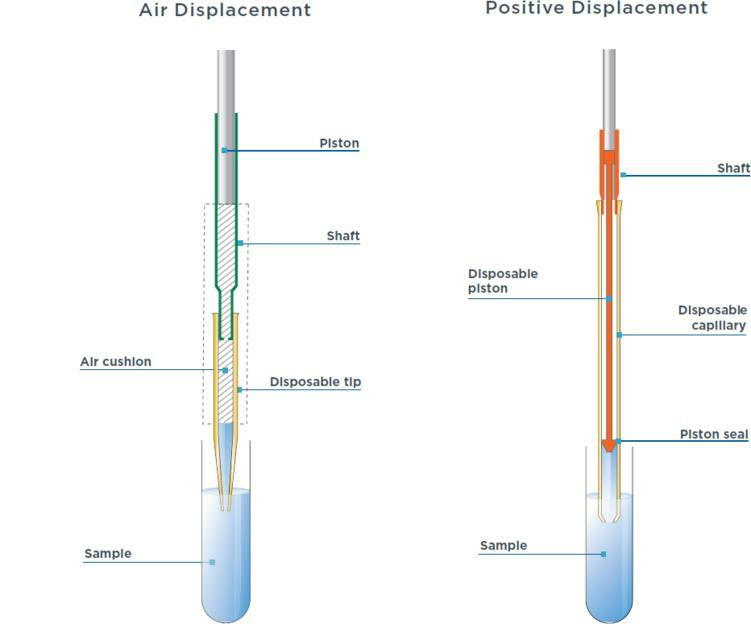 Positive displacement pipettes have no air cushion, so the accuracy of the pipette is not affected by the physical properties of the sample (e.g. viscosity and temperature). Blood and plasma contain proteins that can lead to foaming during pipetting. This makes it difficult to pipette blood and plasma accurately and contamination-free. Blood is also a vis-cous suspension and may be dangerous. With a positive displacement pipette, the risk of contamination from the sample to the pipette and user is reduced and the absence of the air cushion does not affect the accuracy of the pipette due to the physical properties of the sample (e.g. viscosity and temperature). Disposable Capillary Pistons are the only way to eliminate residual sample carry-over, aero-sol contamination, and cross-contamination when pipetting liquids like blood or plasma. With the disposable piston located inside the capillary tip, your pipette, your sample and yourself are protected against contamination. 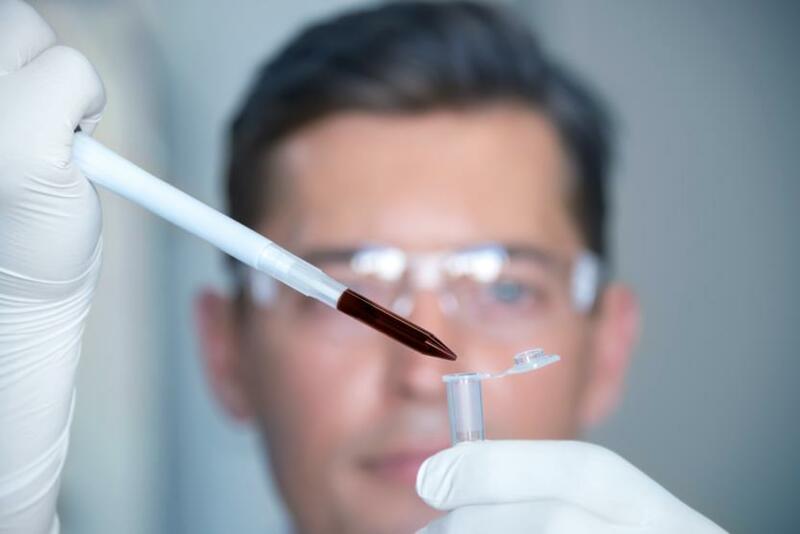 This white paper shows how blood and plasma can be pipetted accurately and without con-tamination by comparing positive displacement and air displacement pipetting. What problems often occur when pipetting plasma and blood? How does a positive displacement pipette work? 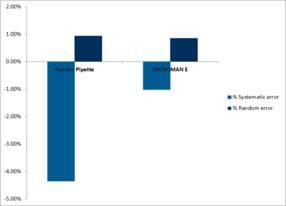 What are the advantages of the direct displacement pipette? Silica-free chromatography-column - or: What is CPC?